Corticosteroid treatments have been well documented to cause severe emotional and even psychiatric disturbances. 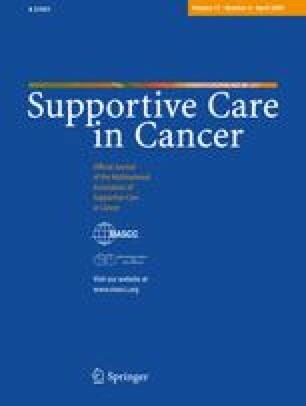 Despite that corticosteroid use is at the core of most treatment protocols for haematological malignancies, there is a dearth of published research (and controversy in the existing research) on the emotional and psychiatric sequelae of corticosteroid use for haematology patients and its connection with pre-existing mental history. This paper aims to address this hiatus and confusion by examining the emotional and psychiatric side effects of corticosteroids on haematology patients in Australia. The findings are from a pilot study that explored the prior mental health history and effects of corticosteroid use of ten haematology patients in Australia. Data was collected through an iterative, phenomenological, qualitative research methodology using open-ended interviews conducted at the time and location of the participant’s choice. The interviews were audio-recorded and transcribed verbatim. The language texts were then entered into the QSR NUD*IST computer program and analysed thematically. The significant finding from the study was that corticosteroids used in haematology treatments have the potential to affect anyone and are not related to an individual’s prior mental health history. No participant presented evidence of psychiatric history or counseling and many reported emotional stability during previous times of difficulty. All participants reported emotional distress directly related to corticosteroid use. Participants reported difficulties during the period of withdrawal from corticosteroids and relief during periods free from the administration of corticosteroids. The findings provide evidence that emotional disturbances associated with corticosteroid use in haematology are a direct result of the drugs used and not a symptom of the individual’s prior emotional health. Recommendations are given which have important implications for the management, support and education of patients and their families in relation to the potential emotional side effects from steroid administration and withdrawal. The authors would like to thank Mrs. Elaine Phillips for her excellent transcribing work and Dr. Michael Leahy, Dr. Paul Pun and Dr. Peter Mollee for providing access to the participants. Estrada D (2005) Consulting Staff, Hematology–Oncology, Cancer Care Specialists of Central Illinois. Lymphoma, Non-Hodgkin. http://www.emedicine.com/med/topic1363.htm. Accessed14 July 2006.